Sasha talks about her growing interest in AP Biology. The greatest scientific discoveries started with someone asking a simple why or how. 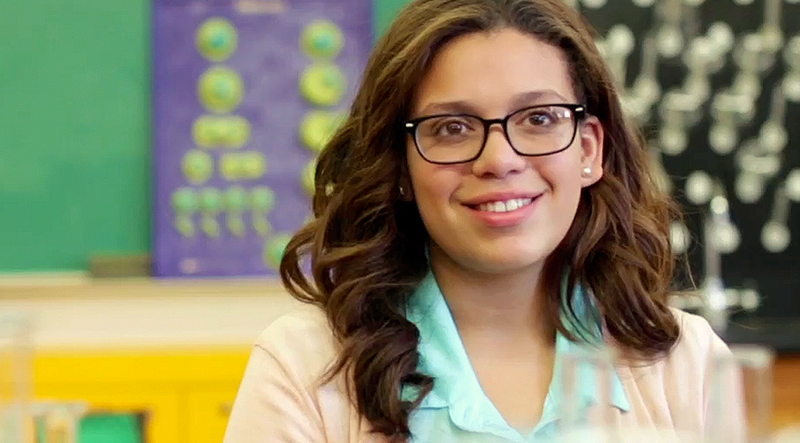 Sasha’s found that in AP Biology, she gets to be that someone, the one who asks the questions. She gets to put her natural curiosity to work for her. “In AP Bio, you really have to question everything. How do you breathe? Why do we need oxygen for life?” Sasha always questioned the world around her. Now in AP, she’s finding that when it comes to learning, questions are the answer. Gelber talks about putting his ideas on paper in AP Literature. You'll do more in AP Biology than you ever imagined.